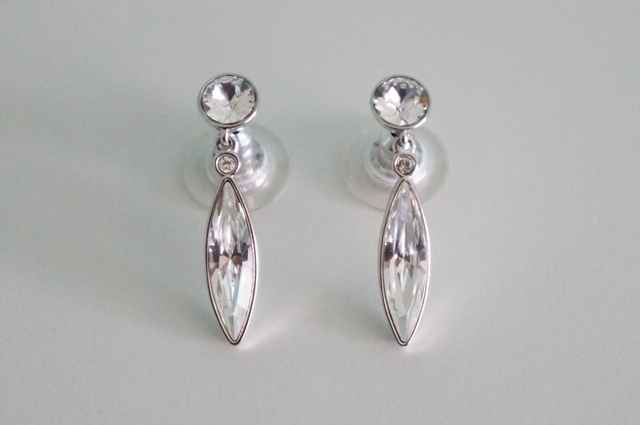 Today I want to show you my newest jewelry pieces from the Swarovski Fall/Winter collection. 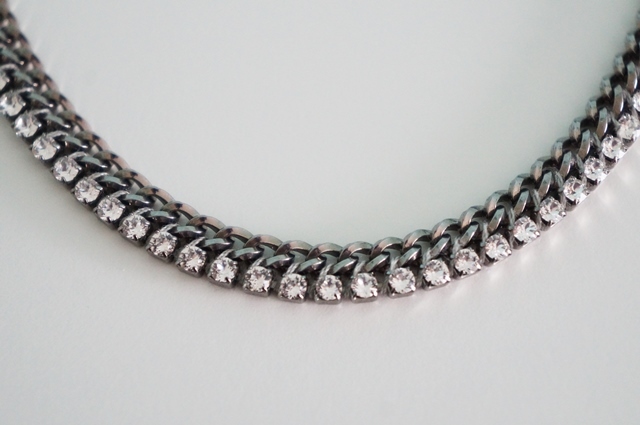 It might seem a little simple, but I really like how the ruthenium-plated chain is combined with the clear crystals. I think it’s a great mix between a classic elegant and a more rock-inspired style. 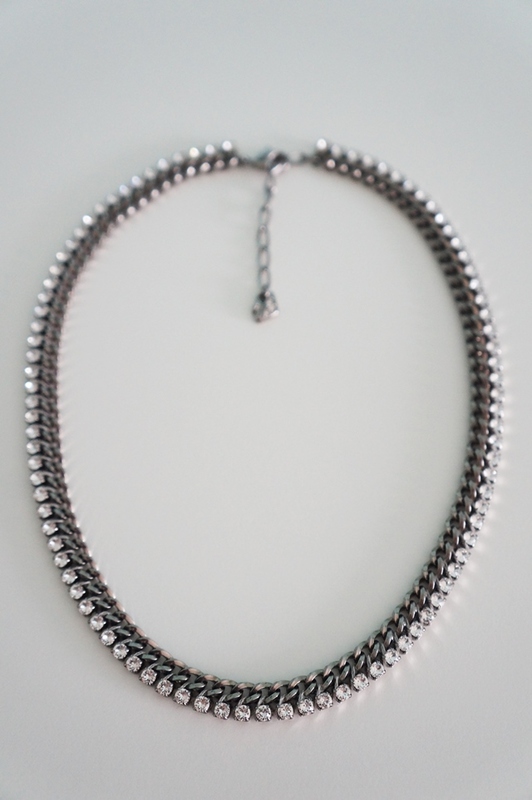 I really love the dark tone of ruthenium-plated jewelry. There should be even more! 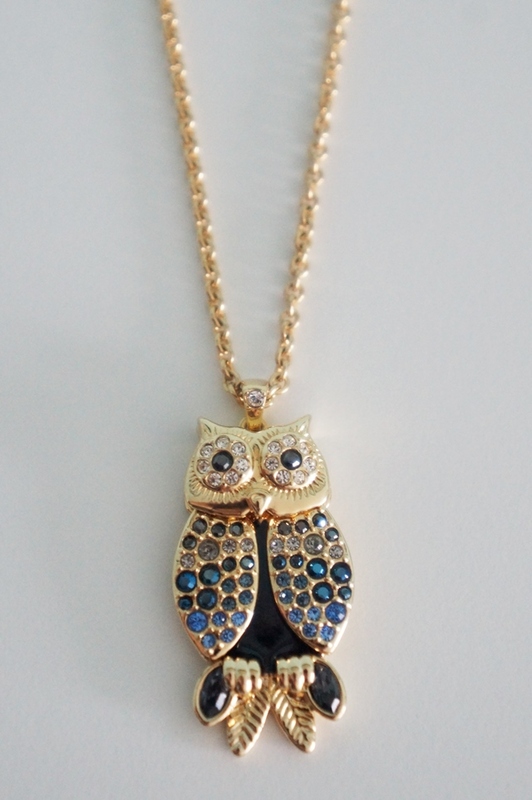 The owl pendant is just so cute, how can anyone say no to this necklace? It’s no wonder I wasn’t the only one who picked out this pendant. The wings can also move a bit! I really like all the colors of the crystals they used on it. 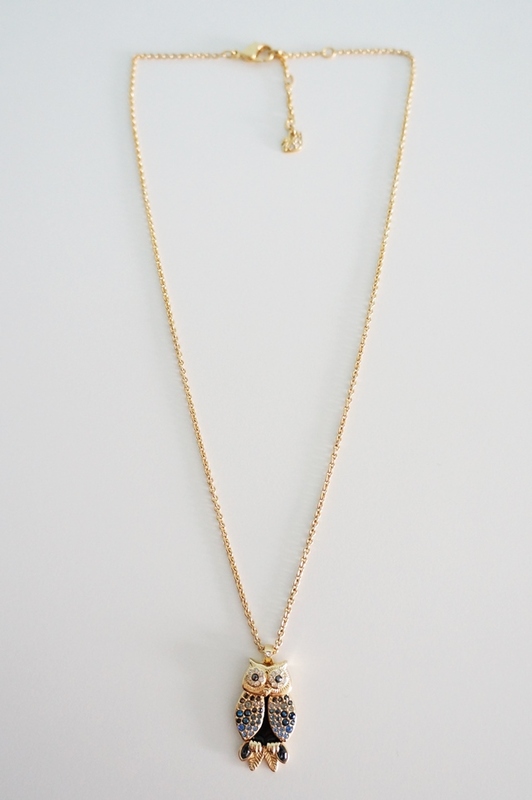 I can even combine it with some of my other gold and black or blue jewelry that I already own.